Virtual Reality (VR) is changing the way we experience the world around us. VR opens a world of possibilities, and allows humans to experience circumstances that are too dangerous or impractical to experience in real life, such as Save the Cat or Die Trying. VR’s ability to simulate dangerous environments and activities without the repercussions of the real world, is exactly what makes this technology the perfect tool for training. In this post we will explore how various industries are using VR to improve and enhance their training practices. 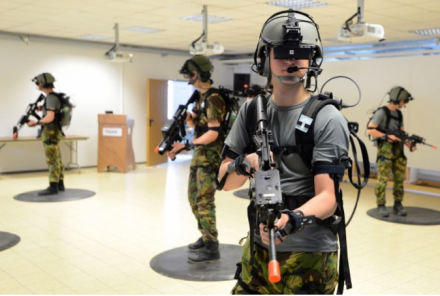 Virtual reality training has been used by the military for years, in both flight simulation and combat settings. VR enables dangerous simulations without the real-world risks, and the immersive nature allows for more instinctual behavior as well as higher retention of information. In addition to this, the technology allows performance to be carefully monitored and tracked, and is much safer and less costly than traditional methods. By using immersive VR experiences, “we can get better training for our soldiers and we can do it more efficiently,” said LTC Michael Stinchfield of the Combined Arms Center’s Training Innovation Facility at the National Simulation Center. In the medical world, VR is being used to train surgeons for real-life situations. Using hand-based interactivity, this new technique is being used to teach complex procedures, surgical techniques, and how to use new medical tools more efficiently and with a wider reach. There is a deficiency of trained surgeons across the globe, and this technology has the potential to train thousands of surgeons simultaneously. Not only this, but surgeons and medical students no longer need to rely on mannequins, cadavers, and simulated labs with actors that can only be used a limited number of times. Virtual reality experiences allow for endless practice in an immersive, realistic, and reliable environment. This concept is similar to LlamaZOO’s very own JetsonVR. 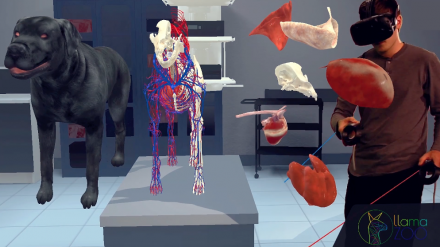 Using new technologies and the most accurate digital canine cadaver in the world , institutions can get a hands-on virtual dissection experience that will help educate and train the new generation of veterinary students. Keep everyone up-to-date and ready in the event of an emergency situation by providing immersive training simulations for real-life scenarios, and evacuation/rescue routes. VR is being used to help train oil and gas drilling staff and is increasing efficiency of drilling workflow and extraction. 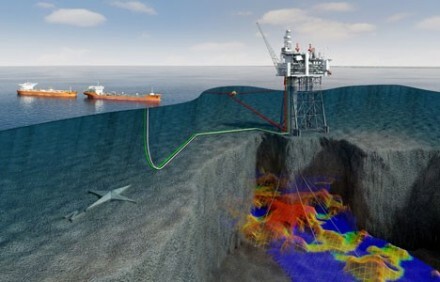 The technology is being leveraged to provide a 3D visualization solution using real life data, allowing engineers, well-site geologists and production teams to simultaneously view and share information. VR training is the hot topic of many current validating studies. A recent study done by Google, has proved using VR to be more efficient at improving information retention than standard instructional videos. Trainees using VR were also found to learn more quickly and effectively – so get ready for the next generation of training!